The assault is defined according to the established laws in the United States as a crime of violence, the act and/or the attempt to set about and assault of one person to another. The assault is committed when an individual performs the action and threat to physically harm another person. The laws also recognize an attempted physical harm as a simple assault, because if a person is capable of threatening to hurt someone while moving menacingly toward the victim with a clenched, or raising a fist can even complete the action at any time then this constitutes an assault. Simple assault is the least serious form of assault and creates a well-founded fear of imminent harm in the victim. A simple assault is considered a second-degree misdemeanor and can lead to imprisonment as a penalty for assault. Assault and Battery are indeed two distinct offenses, even when they are often related crimes. Battery occurs when the defendant makes physical contact with the victim. The defendant intentionally attacks the victim against his/her will without his/her consent. There are several types of batteries according to Florida Law. Simple Battery, Felony Battery and Aggravated Battery require an unwanted physical contact, previous conviction for battery and seriously bodily injury to the victim with a deadly weapon to establish penalty. A person accidentally causes fire weapon injuries to another person. An individual threats another person causing strong fear of the other person resulting in serious injuries. Penalties for Simple Battery against "Special Victims"
Special Victims are identified as the individuals engaged in the performance of their duties, such as school employees, firefighters, medical care providers, law enforcement and police officers and parking enforcement officers. Simple battery against these individuals is a third degree felony and the penalties are a fine amount of up to $5000, probation, up to five years in prison or restitution. Restitution simply means reimbursing the victim for any expenses arising from the crime such as medical expenses. Probation means meeting with a probation officer regularly and follow conditions or instructions set by the court. If a person fails to comply with the conditions or requirements of the probation, he/she can be arrested and serve the remaining time of the sentence in jail. Domestic violence usually comes with simple assault. It is an attack by one family member upon another. It does not involve the use of a weapon and consequently any serious injury occurs. The seriousness of the offense, mitigation, allocation, your prior record, and the judge are important elements to be considered at the time of sentencing. Whether you have been arrested for a misdemeanor or a felony assault, you can look at severe penalties. Criminal Defense attorneys attempt to prove either the offending actions were consented or an act of self-defense took place. The legal assistant of an assault lawyer will provide you with the opportunity to negotiate your charges down to a lower offense or avoid the full force of the penalties. Assault lawyers defend the case with all the knowledge obtained by legal studies and professional practice to ensure enforces the rights that belong to the defendant. They will look at every avenue trying to find evidence that shows your acts were legal and unintentional. 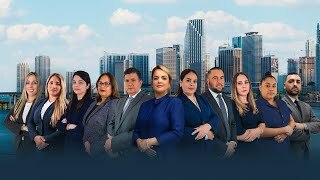 Gallardo Law Firm is conveniently located in Miami, with the services of competent lawyers in immigration and criminal offenses among others. These lawyers advise several people indicted of simple assault or personal intimidation. Gallardo attorneys know the criminal laws and the judicial system, which is why they work hard on every case. They will work with you and the prosecutor to try to negotiate the best outcome. Any judicial record can influence your life. That is why our assault and battery lawyers take personal care with each of their clients to get the best possible results. Gallardo Law Firm provides representation to individuals facing criminal charges in South Florida. We understand the agony and mental pressure that an accused person of crime experiences, not only the person charged, but the family as well. We will help you with the highest quality representation. Is there any difference between intimidation and threat? Intimidation and threats mean the same thing; sometimes threats can be mild or imagined, but become intimidation when they turn into serious and produce terror in the victims to be injured. Why was I charged with aggravated assault instead of simply assault? The difference between the offenses is based on the severity of the injury. The aggravated assault requires that the suspect caused or intended to cause severe injury in the body, and the simple assault only demands proof that the suspect caused or intended to cause bodily injury. How to place a restraining order sentence to a person who has been charged with simple assault in Miami Dade County? To obtain a restraining order, you need to present to the court the simple assault case. The victim should go with the completed form to the court in Miami. Customers may need a restraining order lawyer for your court appearance. However, in a temporary restraining order, plaintiffs may not need lawyers to restraining orders. Gallardo Lawyers specialize in all these formalities, they will ask the judge through the Protection Act, a restraining order to protect customers from attacks. How long do restraining orders in cases of persons charged with simple assault in Miami last? Orders usually last more than three weeks. The order is declared valid upon the defendant notice of the order contained. When the defendant appears at the hearing, the judge will decide the period of time that the restraining order will be granted. Orders can take up to 5 years depending on the damage that occurred with aggression. What is the third-degree assault? An assault is considered a third degree when a person assaults another purposely using a deadly weapon and causes physical damage that could lead to death. What is the definition of physical assault? The physical assault is considered when a person physically assaults another and causes injury and can even cause death. What is the federal definition of assault? There is no federal law that defines the assaults because these usually are sentenced in state court, even when the assault occurs against a federal official the penalty for assault might be different and can be accused of an attempted aggravated assault. What constitutes assault in the workplace? The assault in the workplace is violence that causes one person to another either physical or verbal within the place of work which may be temporary or permanent. These assaults at work can be directed either to customers, strangers, between workers and a boss to the employee.